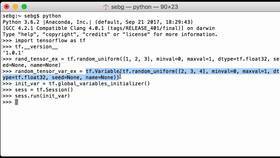 This video will show you how to use TensorFlow’s random uniform operation to create a TensorFlow tensor with a random uniform distribution. Let’s start out by creating our tensor with generated values pulled from a random uniform distribution. 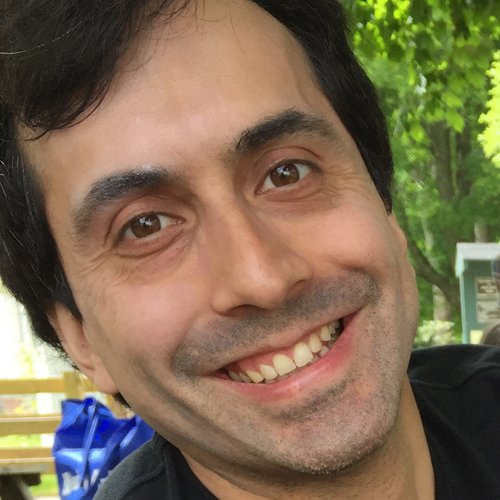 So we use tf.random_uniform, and we pass in a list that signifies the dimensional structure of our tensor, so 2x3x4, and we assign all of this to the Python variable random_uniform_example. Note that since we didn’t specify data type, or dtype, it’s going to use 32-bit floating point numbers. Let’s now print our random uniform tensor to see what we have. 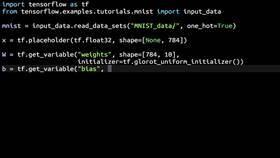 We see that it’s a TensorFlow tensor, we see that TensorFlow gave it the name random_uniform, the shape is 2x3x4 which is how we initialized it, and the data type is float32. Next, let’s print our random_uniform_example tensor within a TensorFlow session. So print sess.run random_uniform_example, and we can see our tensor. We can see that all of the numbers are floating point numbers. From a visual inspection, none of the numbers are smaller than 0 and none of the numbers are bigger than the number 1. Instead of doing a visual inspection, let’s programmatically get the minimum number found in our random_uniform_example tensor using tf.reduce_min operation. So that will return the smallest number inside of the tensor. And we see that it is in fact bigger than the number 0. Let’s also programmatically get the maximum number found inside of our random_uniform tensor example using tf.reduce_max operation. This will return the maximum number found in the tensor. We see that the maximum number in the tensor is in fact less than the number 1. 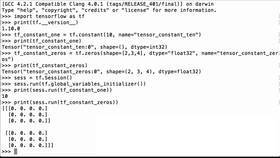 Perfect - We were able to use TensorFlow’s random uniform operation to create a TensorFlow tensor with a random uniform distribution.